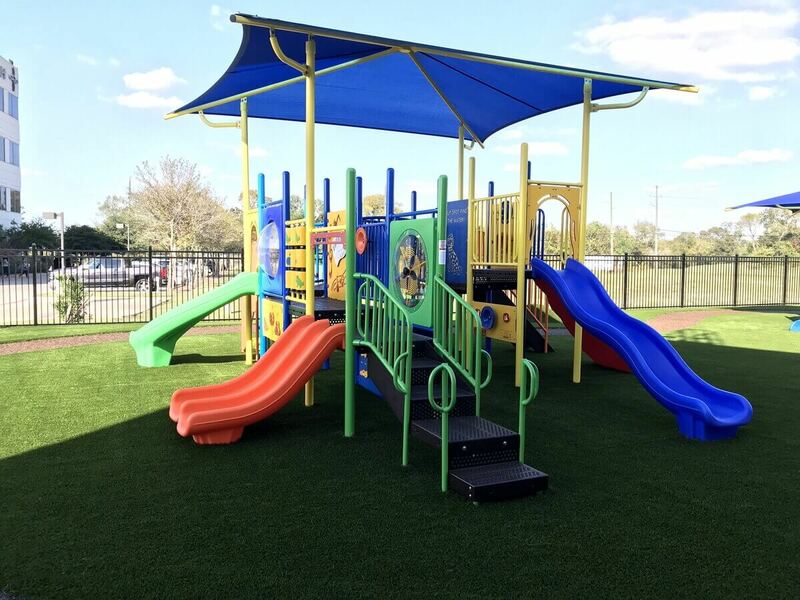 The Montessori School of Downtown line of schools are top of the line daycare centers located within the greater Houston, TX area. 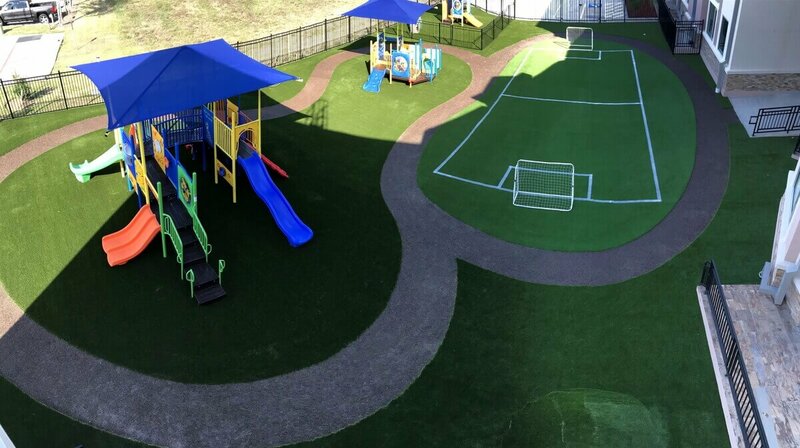 During the process of constructing new facilities the owners realized outdoor play spaces at other locations had begun to look worn and no longer resembled the caliber their clients had come to anticipate. 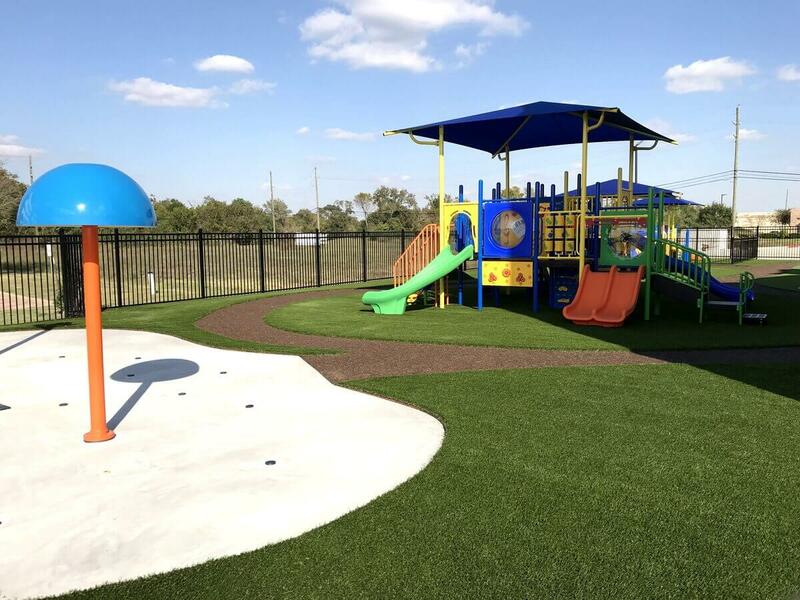 They reached out to Adventure Playground Systems for help with not only their new facility but with updating their existing infrastructure as well. 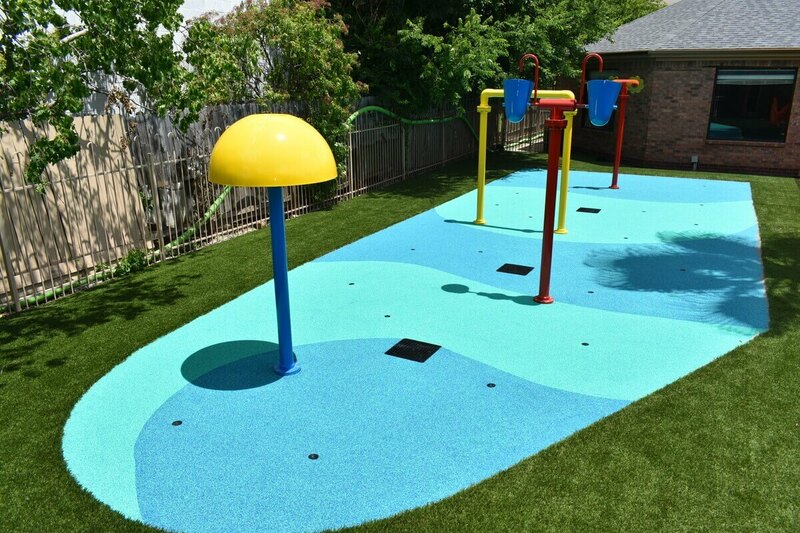 Adventure Playground Systems stepped in to bring their outdoor areas not only up to code; but, up to expectations. 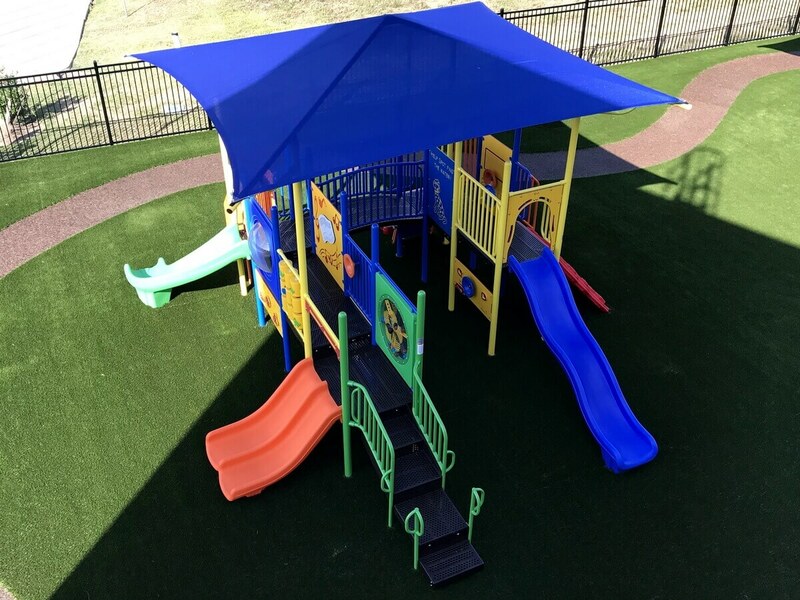 With exceptional project management and coordination, Adventure Playground was able to complete all three projects within budget and on time. 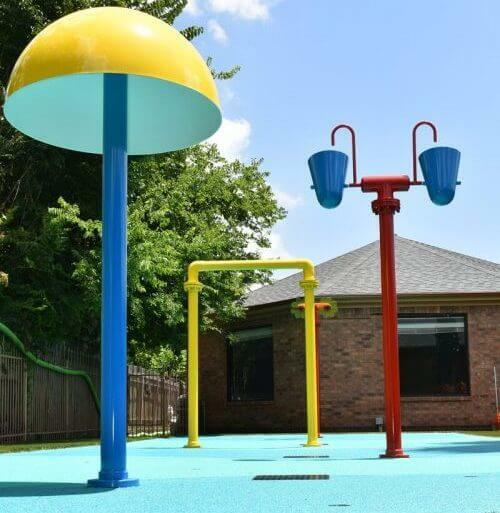 Silverlake had a 500 Sq Ft splash pad that served the school’s purpose but just wasn’t fun. 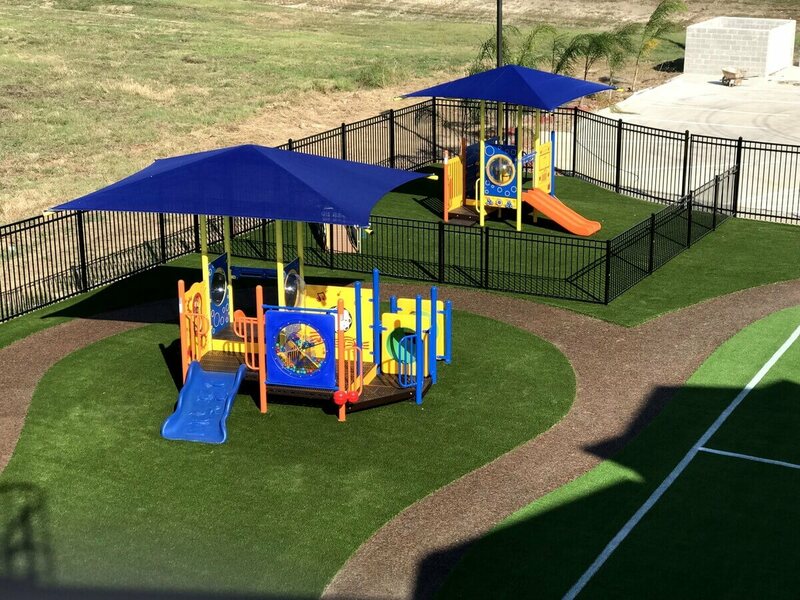 With the help of Adventure Playground Systems, Montessori School of Downtown- Silverlake now boasts a 1000 Sq.Ft. 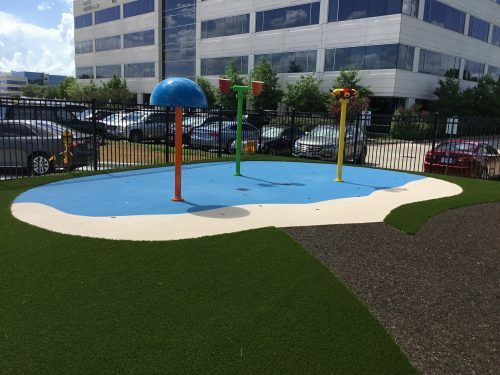 splash pad complete with polysoft, additional water features, and more space. Montessori School of Downtown- Downtown had a pool that had become a liability. 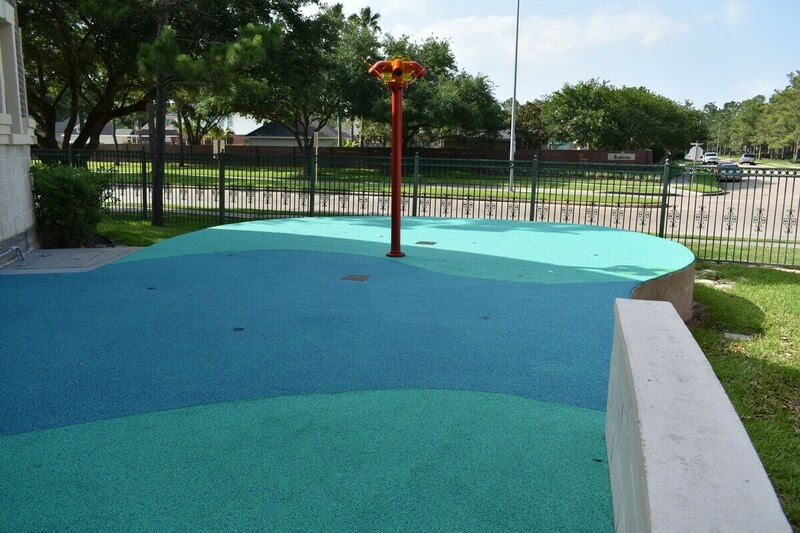 It also had outdated impact attenuation and fences that broke the play space into awkward areas. 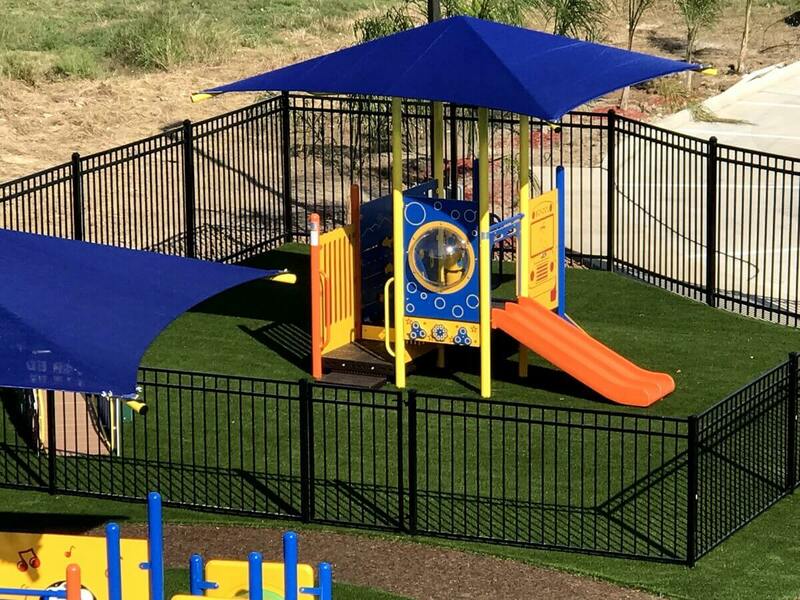 Adventure Playground filled in the pool and replaced it with a beautiful Splash Pad, took down the fences, and refreshed the tired pea gravel with beautiful synthetic grass. Shadow Creek was a blank slate before Adventure Playground Systems got involved. 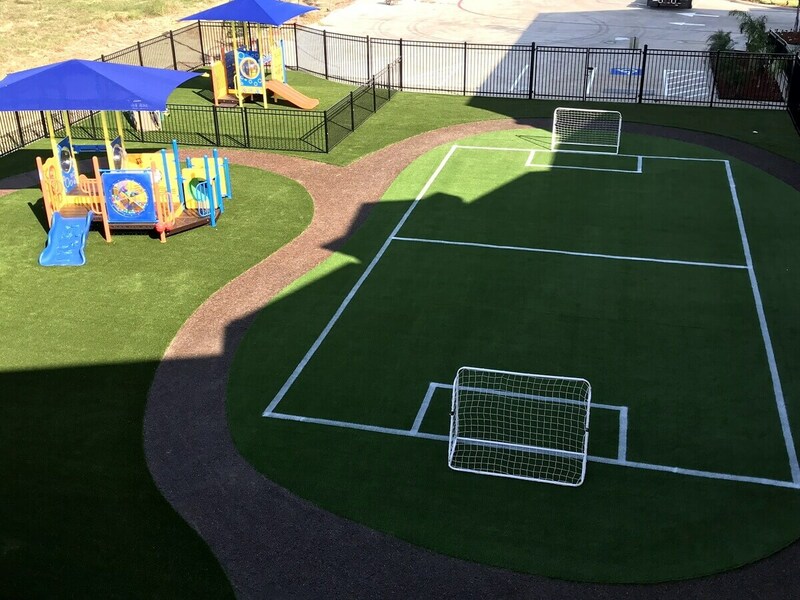 We were able to work out a design that offered the new school three covered playground areas, a splash pad, soccer field, and trike track. 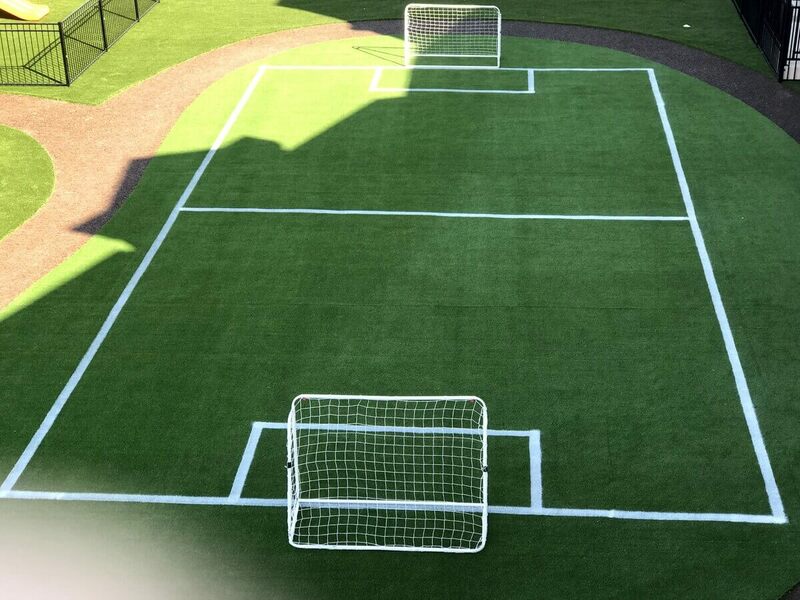 All with synthetic grass, polysoft, and bonded rubber surfacing.